If you are interested in applying for an AEF International Eagle Grant, contact grant coordinator Jody Millar at eaglegrants@gmail.com to access required forms. 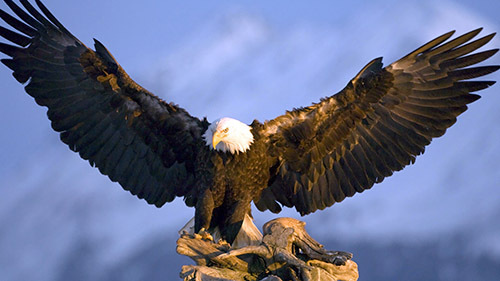 The American Eagle Foundation is proud to announce that starting July 1, 2019, we will be accepting proposals for International Eagle Grants. This is the second year that the American Eagle Foundation has sponsored eagle conservation work from applicants world-wide. The American Eagle Foundation International Eagle Grants program will target research and conservation for eagle species in developing and underserved areas. Award decisions will be based on a combination of quality of the proposal and the proposed project, the conservation status of the species, the urgency of the need for the project, and the qualifications of the applicants. Up to $10,000 in grants will be available with grant requests of $500 to $5,000 considered. Two AEF International grants for 2018 were announced at the International Raptor Research Conference held on November 12-16, 2018 at the Kruger National Park in South Africa. During this trip, the American Eagle Foundation committed to fund two projects working to conserve world eagles. The projects are a population assessment of the Steppe Eagle of Kazakhstan, and a population study of the Golden Eagle in Ethiopia. The AEF International Eagle Grants Program will be discharged in a manner similar to our Bald Eagle Grants program. To date, the American Eagle Foundation has awarded over $700,000 in grants to help to further our understanding and conservation of the Bald Eagle. Grants were first awarded in 2012, with about $100,000 awarded yearly (no awards were granted for 2013). The American Eagle Foundation uses a Bald Eagle Grant Advisory Team to numerically rank all grant applications. This team consists of some of the Nation’s outstanding eagle experts and will be the same team used to rank proposals for the AEF International Eagle Grants Program. The American Eagle Foundation International Eagle Program will accept applications July 1 – September 1, 2019 for grants, beginning the next calendar year. The American Eagle Foundation is a not-for-profit 501(c)(3) organization whose mission is to protect and preserve the United States’ living symbol of freedom, the Bald Eagle, and other birds of prey. The American Eagle Foundation is celebrating its 33rd year of carrying out its mission through Preservation, Repopulation, Education, and Rehabilitation. It is headquartered in the foothills of the Great Smoky Mountains at Dollywood Family Theme Park in Pigeon Forge, Tennessee.